This quiet, haunting hybrid of documentary and fiction was made by Danish-Korean adoptee Marlene Choi in Korea and focused on the story of two thirtyish Danish Korean adoptees, Karoline (Karoline Sofie Lee) and Thomas (Danish TV actor Thomas Hwan), who come to Korea in search of their origins. Though feeling quite specific, they stand for many. As it turns out, since the Korean War in 1953 South Korea has been a major exporter of babies for adoption, over 200,00 having been raised mainly in Europe and the US. Karoline arrives at Koroot, a group home specially provided for Korean adoptees. Here Karoline meets Thomas and other visiting Korean adoptees who come from America and communicate in English. A hunky young man from America tells a radical story. This is his second time in Korea. The first time, he immediately felt at home, so much so that when he left, it felt wrong. His adoptive parents objected to his exploration of his origins, and, given a choice between them and that, he has chosen to live in Korea. Like the others, he has not learned the language. Has he ever seen a Korean film? His decision is passionate, instinctive. It may be an emotional reaction to growing up feeling like an outsider. He has no idea what he is getting into but certainly here, he will look like he fits in. It's complicated. He has simplified it. The visiting adoptees share experiences of being bullied in one way or another for being different, not being white. An older woman adoptee talks about her experiences of finding her biological parents and meeting them. When she met her father, she says she felt nothing. Only later she was very moved by the struggles of her mother, who became disabled relatively young, it turns out. She has returned to spend time with her mother. Karoline goes to the Holt adoption agency, where the representative offers her little hope of finding out anything. Records were not kept, she says. Thomas says they lie, and offers to go back with her, as they do. Eventually it does emerge from help reading her Korean documents from the agency that she was born in a hospital on a small island off Inchon. The truly profound scene is the one when Karoline and Thomas go to meet Thomas' biological mother, who has been found. They go with a female interpreter who translates back and forth between Korean and English. Thomas' mother is sweet, plying them with a meal prepared together in a small apartment. He was the result of a quick union with a boy who vanished, when she was very young. Her tale is of heartbreaking regret for having given up Thomas for adoption too hastily.She married, but never had children. All her life she has been haunted by longing to be with him. This quiet, underplayed scene is masterful in administering an emotional wallop with economical means. Realization that this sequence is staged, not "real," may undercut it, but not lessen its almost archetypal emotional power. The use of staged elements for the framework narrative of the film allows Choi to experiment. The film uses innovative, subtle camerawork, editing, and sound to convey vividly the feeling of excitement and dislocation, of confusion and emotional dissonance Karoline and Thomas feel from first arrival. This helps to strengthen a very thought-provoking film that conveys as well as any movie yet what it is like to be adopted from a far-away country and long to understand and be reunited with one's origins. The writer, Sissel Dalsgaard Thomsen, has contributed substantially to giving the dialogue, particularly in Danish, a natural and specific feel. The Return, 87 minS., debuted at Rotterdam and was reviewed by Screen Anarchy (Paige Lim) and Variety (Alissa Simon) at Göteborg Feb. 2018. Reviewed there for Variety by Alissa Simon . Last edited by Chris Knipp; 07-16-2018 at 11:14 PM. 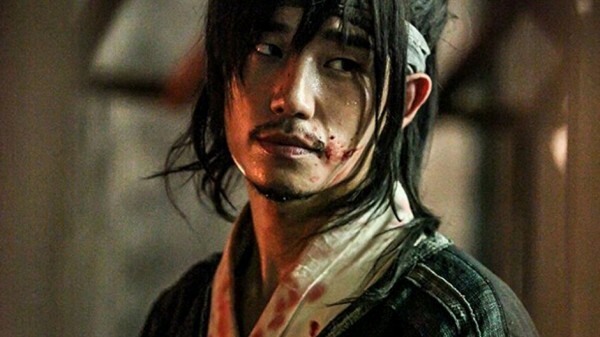 The Age of Blood/ 역모 - 반란의 시대 Yeokmo - banranui sidae ("Conspiracy - The Age of Rebellion"), 102 mins., opened in Korean cinemas Nov. 2017, and debuted on Japanese TV May 2018. It was screened for this review as part of the 2018 New York Asian Film Festival, where it shows at 12:30 July 4th. It can be watched free on Amazon Prime. Last edited by Chris Knipp; 07-03-2018 at 09:49 AM. The premise of The Scythian Lamb, based on the manga Hitsuji no ki originated by Tatsuhiko Yamagami and Mikio Igarashi, is almost too good to be true. The city government of Uobuka, a little Japanese seacoast town of declining population, decides to cooperate with the prison system, which is trying to reduce its numbers by releasing low-risk prisoners early, provided they stay in an assigned location for ten years. Uobuka gets six parolees at once, all convicted of murder. The possibilities are infinite. And this is the charm of Daihachi Yoshida's movie. As it unreels some of those and holds others in check, it avoids getting pinned down to any one genre. There is film noir, murder, romance, melodrama, thriller, suspense, and it's all laced with comedy. Rumors, which can't be verified, say that experiments like this actually have been carried out to help repopulate Japan's dwindling rural areas. It's doubtful there's been an all-murderer program, though. At the center of things is a handsome and gentle young man who works for city hall called Hajime Tsukisue (pop singer Ryo Nishikido). Like any bureaucrat, he's stuck with executing an unappealing plan not at all of his devising. He must greet the new arrivals one by one, knowing only that they're ex-cons, at first, not their crime, and keep an eye on them thereafter. Nobody is to know who these people are, and they are not to know about each other. The movie provides an opening series of vignettes in which Tsukisue greets the new arrivals one by one, takes them for a drive, and treats them to dinner - six get-acquainted sessions for him, and for us. Hiroki Fukimoto (Shinjo Mizusawa), to start, an angular, nervous type, very ill at ease, who gobbles up food and drink like Robinson Crusoe. Later he will get to work at the barber shop. Is he alcoholic? Yes. Shinjiro Ono (Min Tanaka), even more angular, and ancient, is yakuza through and through, with a big scar down one side of his face. He doesn't warm to Tsukisue's "It's a nice town, with nice people, great seafood." But he scares away the gangsters that come to reenlist him. He thoroughly rejects his past life. And so, he's perfect for the dry cleaner's. Except his bad back isn't good for the ironing. Equal opportunity, or sort of: two of the six are women. Both are pretty. One, Reiko (Yuka), goes to work at the senior center. Which is fine, except she and Tsukisue's father enter into a romantic attachment. The other, Kiyomi Kurimoto (Michiko Hichikawa) is sort of sweet, but also a bit dour and spooky. She gets assigned to a crew doing street cleanup. She likes to dig, and she likes to bury stuff. No worries. There is one nice guy, Itchiro Miyakoshi (Ryuhei Matsuda). He has a positive attitude from arrival. He finds the seafood delicious. He looks and acts quite normal. Watch out! And there's the snarky Sugiyama (Kazuki Kitamura, an actor whose resume includes Godzilla: Final Wars (2004), Kill Bill: Vol. 1 (2003) and The Raid 2 (2014). He's a provocative type, with a menacing, sleazy grin. It's clear from the get-go that going straight is not his intention. He's not only dangerous but wants you to know it. He goes to work down at the docks; he has nautical experience. He's looking for trouble - and other bad guys to join up with. If Yoshida lingers over these intros, who can blame him? All the enjoyment of the characters doesn't get in the way of an exciting and suspenseful story-line. Murderers are a diverse lot. Some kill by accident, others by necessity. (One of the ladies did kill an abusive husband.) Others kill by profession, or in their line of criminal work. Or in a unique fit of anger. Anybody might do it. It can happen by accident. Others do so out of overriding compulsion, and that's not an accident. All these categories are represented in the group. All of them are, by their pre-arranged jobs, inserted into the fabric of the community. It's a really small town. Tsukisue, in a manga touch and a cool one, leads a sort of double life. In the daytime, his hair is combed back and he's always in a suit and tie. Off duty, he dons ragged jeans and T shirt, his hair flops over his eyes, and he's in a loud garage band. Clark Kent becomes a rock star. The population grows by one without government help, when Aya (Fumino Kimura), Tsukisue's high school crush, returns to Uobuka. Tsukisue persuades her to join the band and play lead guitar, like in high school. There's a guy who plays drums. Guess who wants to learn guitar? Miyakoshi, the friendly, normal-seeming guy, who now drives a blue and yellow delivery truck. The town has an ancient myth, and a giant bronze statue on a cliff to embody it: Nororo. Kids play around in a park one day stumbling like zombies, chanting "Nororo, Nororo!" - a neat way of introducing the theme. Nororo is a monster overlooking the sea. Legend has it that each year in olden times two men were thrown into the sea to appease Nororo's anger, and only one would survive. There is a Nororo festival every year today, with traditional costumes, and a young colleague of Tsukisue's, who has broken into their boss's computer and found out the identity of the new arrivals, unwisely arranges to have them all invited to participate in the Nororo festival. This makes for a dramatic and revelatory scene, with a dark night, a roiling sea, and men in white traditional costumes. But it's a photo of this in the newspaper that brings on the climactic sequence of events. Daihachi Yoshida and his writer Masahito Kagawa have contrived an adaptation of their manga source that works - even if there are a few details that may make more sense in an earlier, larger context. The Scythian Lamb concludes with both a violent, suspenseful finale and a happy denouement. 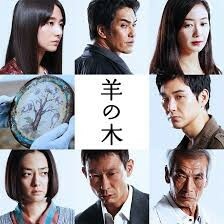 It's a delightful, interesting, very Japanese film, a compendium of different genres and moods happily blended in an atmospheric bouillabaisse. Nice town, Uobuka - nice people. Delicious seafood. But some of the fish have to be buried. The Scythian Lamb / 羊の木 Hitsuji no Ki ("Sheep's tree"), 126 mins., debuted at Busan Oct. 2017, and has been included in five other festivals, including the 2018 New York Asian Film Festival, where it was screened for this review, and will show at 9:15 p.m. July 5. Last edited by Chris Knipp; 07-03-2018 at 11:43 PM. This Eighties family crime picture from Taiwan is gorgeous, lurid, and camp. On one level it is little more than highfalutin trash, soap opera with better production values. But with its multiple formats and lush mise-en-scène, more often than not more visually complex than it needs to be, it's a delight to the eyes - whether one follows the complicated subplots from the history of Taiwan's political corruption or the mannered dialogue or not. Perhaps better not. But what one can't miss is, this posh gangster family is female-only. The trio of leads, all juicy roles, are three generations of the Tang family. At center stage is Madame Tang, played by Kara Wai, in the midst of a late-career resurgence. While her cover is an antiques dealership, she really works full time to profit by questionable land speculation laws, cultivates corruptible politicians madly, acting as a go-between for them and dirty businessmen, and waging psychological warfare on any competition. Madame Tang's daughter Ning (Wu Ke-xi) is her chief partner in crime, but also a liability due to her Valley-of-the-Dolls-style drug use as well as sexual overindulgence. This is lightly sketched in mostly with conversation, and her always having a cigarette in her hand and looking dreamy, but it's hinted that Ning is emotionally as well as morally damaged beyond repair by her mother's machinations. Chen-Chen (Vicky Chen, who's only fourteen, and who, like Kara Wai, got a Golden Horse award), the "innocent," doughty but slightly creepy girl in sailor-boy school uniform or puffy dresses, represents the third, youngest generation of Clan Tang. There is a mind-boggling, but fun, opening series of multiple formats thrown at us, including a wall of TV screens showing different new stories pertaining to the principals and Taipei politics, then a TV studio set as cluttered and pretty as anything in a film by Apichatpong Weerasethakul, with an old lady plucking an antique stringed instrument and a man on the right chanting narration in traditional Taiwanese-Chinese dialect, as a framework of the main story. Then comes a fancy but tainted teatime for the grand and elegant Lady Wang (Chen Sha-Li), wife of a Speaker expected to become the top local politician. It's tainted by invasions from reporters, the daughter's odd behavior, and a costly gift that arrives with the hand broken off. In anticipation of a major developed project, Madame Tang has guided her political associates to buy up parcels in an otherwise sleepy rural district, using shell companies. Tea with Lady Wang is an over-elaborate but culturally nuanced mood-setter that would be worthy of a Godfather epic, were the filmmaking on a higher level and the plot richer. It shows, as Zhuo-Ning Su explains in his Film Stage review, that behind the "fake smiles, every word, gesture, look is code." Behind the elegant tea-time rituals, deals and bribes are being set up. Madame Tang speaks "Mandarin, Taiwanese, Japanese and her native Cantonese, which in itself fills in a lot of blanks with regard to her character’s back story, " Su notes, as well as indicating her level of ambition - information that provides a hint of how much the non-Taiwanese non-Chinese speaker may miss beyond the visual surfaces of this eye-candy movie. A big plot complication comes, the next day, with the massacre in their home of local bank director Lin along with his entire family, except for young heiress Pien Pien, left in a coma. Conveniently, the chief suspect is a groom, now disappeared, who was having an affair with one of Lin's daughters. Other deaths turn up. This morphs into a murder case - yes, it's a little bit police procedural too - and brings out Madame Tang's criminal activities, a process leading to what Elizabeth Kerr in her Hollywood Reporter review calls "a wonderfully tragic, lurid, soapy reckoning." Actually the ending is a little weak and anticlimactic, however. The summing-up by David D'Arcy in his Screen Daily review, "While grim, this story can also be wonderfully camp," is stating the obvious. This is at best a guilty pleasure, but one must give credit to the production crew and the actors and whoever thought up all the different visual formats to gild the overripe lily. Kudos to production designer Penny Pei-Ling Tsai and dp Ko-Chin Chen. Whatever its flaws, this movie leaves an impression. 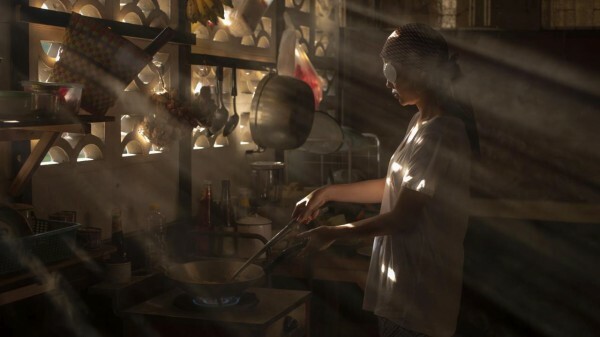 The Bold, the Corrupt, and the Beautiful / 血觀音 Xuè guān yīn ("Blood guanyin [goddess]"), 112 mins., debuted at Busan Oct. 2017 and showed at Taipei, Rotterdam, Singapore, Seattle, and Buenos Aires, and was screened for this review as part of the New York Asian Film Festival, where it's showing July 5 at 2:15 p.m.
Last edited by Chris Knipp; 07-04-2018 at 10:17 PM. Erik Matti of the Philippines is a leading figure of Southeast Asian genre cinema. His new feature BuyBust, also included in the NYAFF, is his first pure action film. This one from 2013, also in the festival, is highly admired. It gained him international notice through inclusion in Cannes Directors' Fortnight , and was a New York Times Critic's Pick when reviewed by Jeannette Catsoulis. It shows Matti's élan and brilliance as a filmmaker. 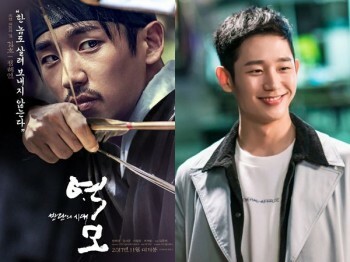 Parallel to this pair is Francis, a classy, clean cut, and model-handsome NBI (like the FBI) academy grad (Piolo Pascual, a Manila TV matinee idol) who becomes the protegee of principled cop Acosta (Joey Marquez), but whose key relationship ultimately is with Manrique, a powerful politician (Michael De Mesa), due to marrying his daughter. That marriage, Francis learns, puts him in line not just for distinction in law enforcement but possible high political office. But before long he learns the assassinations have a source close to Manrique, and the whole system is rotten. Last edited by Chris Knipp; 07-05-2018 at 03:53 AM. 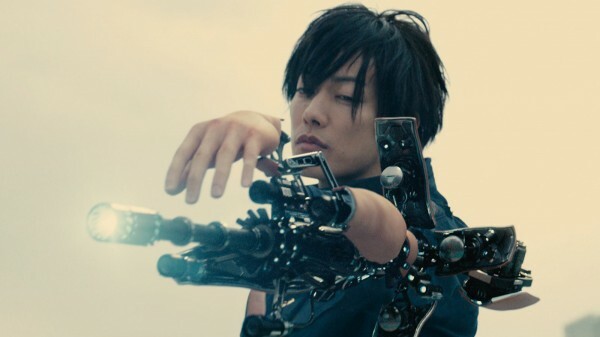 With the story of the meek salaryman or hirashain, Inuyashiki, and the teenager who're simultaneously struck by a a flashing white light like a cosmic ray and wake up turned into cyborgs, we are plunged into the world of manga at its least realistic, but still with plenty of human touches. (The original is by Hiroya Oku.) We also enter a franchise starting for director Shinsuke Sato, who has already done several cult manga films. 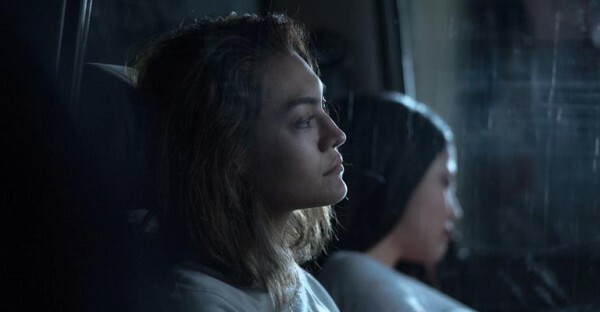 The 2018 NYAFF includes a couple of other manga adaptations, the high school nightmare River's Edge (which makes one long for Eighties American youth pictures) and The Scythian Lamb, a highly entertaining genre mix, with its absurd but promising premise of a brace of convicted murderers dropped into a small town as part of a nutty "repopulation" scheme. 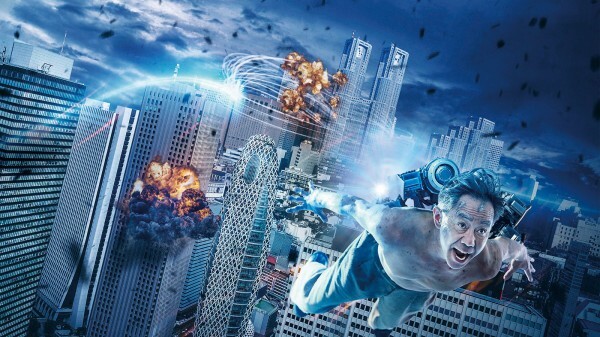 Inuyashiki / いぬやしき, 127 mins., debuted 20 Apr. 2018 in Brussels, at the International Fantastic Film Festival, also showing at Udine and at Montreal's Fantasia. It opened theatrically in Japan 20 Apr. 2018. It was screened for this review as part of the NYAFF, where it shows at the Walter Reade Theater in Lincoln Center Sun, 15 Jul. at 1 p.m.
Last edited by Chris Knipp; 07-08-2018 at 11:59 PM. Whether you take the action in Smokin' on the Moon seriously or not, it's fun to watch this first feature by Osaka-based musician and filmmaker Wolf (aka Yuichiro Tanaka) for its playful way with formats and punk visual style (including two animated dream sequences), which, except for the beginning, is vibrant without being overwhelming. Based by Wolf on his own manga, the film was filmed by dp Hiroo Takaoka in a manner that's intimate, yet clear, and gives the action and main characters a naturalism to counteract the fantastic stoned element. The main characters are appealing, and the story comes to a sweet, touching end. Wolf gives an engaging feel to his grungy slice of life with Hiroyasu Koizumi's intentionally decrepit set and production design (notably for the pair's mess of a flat supplied them by a wannabe rapper), idiosyncratic fast edits, and deliberately unrelated scene shifts. That's balanced by up-close camerawork of people that's surprisingly intimate, aided by the charm of the two main actors. 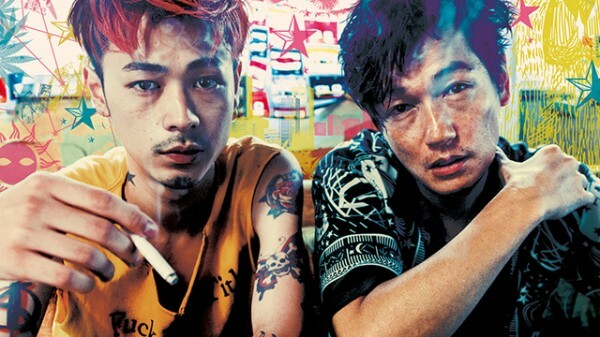 The early scenes, a Kaleidoscopic whirlwind of vignettes of the guys' lifestyle, seem like pure visual play, as they introduce the frivolous, wigged out pair of buddies, thirtyish Sota (Arata Iura) and twenty-something, scrawny-stylish, tattooed and red-haired "rooster" Rakuto (former model Ryo Narita), who work at a Tokyo bar and deal marijuana on the side. Their affection for each other is the emotional anchor of the film. We meet other colorful characters, including an oversexed landlady (LiLiCo) and a loud-mouthed rapper pot dealer called Jay (Yasu Peron). Last edited by Chris Knipp; 07-17-2018 at 12:04 AM. This is a hard act to follow, but one of Sad Beauty's best aspects is the assurance of its sudden shifts. Suddenly it's a year later but Yo and Pim, who had a bitter little spat after the corpse disposal (that was a long, tough night), are still friends. Pim has been having chemo. Yo is still making good money, but still has bad vibes in the business. She still is dissolute, has no purpose, is pursued by handsome guys after a good time, and now has nightmares inspired by that night of the crocodiles. Gradually it sinks in that this is a woman's picture, centered on an intense, dysfunctional woman's friendship, in which the killing is forgotten and the greatest crime is the failure to be there for one's friend at the crucial moment. But this failure is n't without repentance. This is a female director who can handle film noir with its appropriate violence, but also delve deeply into the complexity of a women's friendship. . The sensuousness also extends to things that are icky or disgusting, like the wrapped, seeping body and Pim's diseased eye, but also to a delicate handling of the lost friend that's sad without being sentimental. Last edited by Chris Knipp; 07-16-2018 at 11:34 PM. A premise is that Manigan, a newcomer to the force and unhampered by old loyalties or corruption, has seen her entire squad shot out around her during a previous raid. Mixed Martial Arts star Brandon Vera co-stars. The project is billed as one of the most ambitious Philippine productions to date. 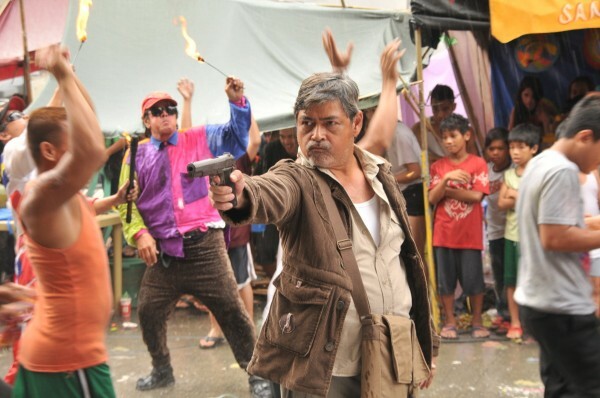 Whhile not merely a series of hand-to-hand combats like Gareth Evans' ultra-violent, now cult status, The Raid: Redemption (ND/NF 2012), BuyBust does consist largely of hand-to-hand and gun fighting. This is an exceptionally elaborate and demanding production that's as impressive as it is grueling to watch. But the action, however varied, ultimately becomes monotonous. In human terms this not ultimately as interesting a film as Matti's masterful 2013 actioner On the Job, also shown at the New York Asian Film Festival (and reviewed here), which has a more complex trajectory and an interesting relationship between two convicts of different generations who carry out targeted assassinations during releases from prison. 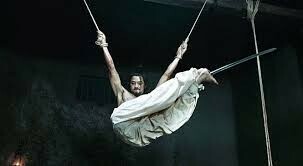 Hopefully now that Matti has proven that he can do complex virtually non-stop action, he will go back to films that have more human nuance and variety. 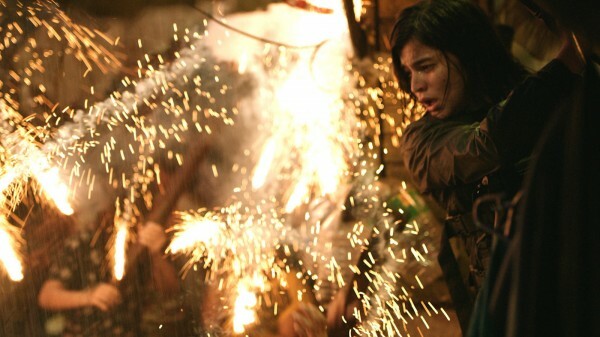 BuyBust, Phillippines 126 mins., debuted at the New York Asian Film Festival on Closing Night, 15 Jul. 2018 at the Walter Reade Theater, Lincoln Center, at 8:30 p.m. World Premiere. Q&A with director Erik Matti and actors Anne Curtis & Brandon Vera · Closing Night Party. It will show at Fantasia International Film Festival in Canada 18 July, on 19 July at Comicon as part of the 21st Annuel Superhero Kung Fu Extravaganza panel, and at Bucheon International Fantastic Film Festival, at Fantasia in Montreal 18 July, and opening theatrically in the U.S. 10 Aug.
Last edited by Chris Knipp; 07-16-2018 at 08:10 PM.